Boots No.7 Fanomenal Lash Serum Review (2018) : Worth Buying? What is Boots No.7 Fanomenal Lash Serum? As state by manufacturer of product, Boots No.7 Fanomenal Lash Serum, US $57, will probably have to be one of the most inexpensive eyelash enhancing formulation that you can find in the market today. With a product that is formulated with pro-Vitamin B5, hydrolyzed keratin and peptides, this product’s manufacturer promises to give you thicker, more glamorous eyelashes in just 8 weeks of use but sometimes it may cause itching or dryness on skin. Using its brush applicator to apply this product nightly on your upper and lower eyelids. What are the Ingredients in Boots No.7 Fanomenal Lash Serum? Hydrolyzed Keratin and Panthenol: Deeply nourish and moisturize your eyelashes, allowing roots to become healthier, and hair shaft more resistant to damage and rupture. Peptides: Boosts the amino acid content of your skin and hair shaft, allowing healthier, thicker eyelashes to grow and thrive for longer periods of time. However it may cause warming of the skin, itching, dryness. How To Apply Boots No.7 Fanomenal Lash Serum? Make sure to use only Boots No.7 Fanomenal Lash Serum on skin that has been cleansed and eyelids that have been thoroughly rid of excess oils, makeup and other impurities that may get in the way of effective product absorption. 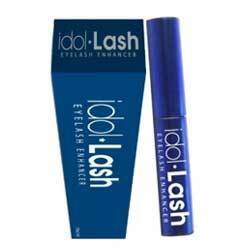 Always use the product applicator to treat your top eyelid with this product. Keep your applicator clean to avoid infecting your skin and eyes. Always test the product for any potential adverse reactions by your skin to any of the product components. Use on a small part of one eyelid. Leave overnight then check for swelling, redness and other signs of skin irritation when you wake up the following day. If any signs of irritation is noted, discontinue product use. A slight stinging sensation over the eyelid and on your eyes should be expected but, should go away a few moments following product application. Designed and sold by Boots, a company well recognized for its extensive socially responsible practices and outreach. Boots is well-known for good client relations and customer satisfaction services. This product helps to make healthier, thicker eyelashes, However it may cause warming of the skin, itching, dryness on skin. Applicator does not make it easy to apply the product onto your eyelids. Consumers report a stinging sensation the eyelids and eyes when these parts of the body comes into contact with the product. Product contains loads of parabens, chemicals considered to be toxic and, which when present in the body in toxic levels, can lead to hormonal dysfunctions and related disturbances in the normal functioning of organs that are regulated by hormones. Several product ingredients may be potentially irritating for your eyes and skin. Manufacturer does not openly disclose this product’s full list of ingredients, making it impossible to carry out a proper evaluation of product safety and efficacy. When you are ready to go mascara-free, you may want to think through your eyelash enhancer options. Boots No.7 Fanomenal Lash Serum may come to you like good news but, it’s always best to know what other options you may have out there so that you can compare.However it may cause warming of the skin, itching, dryness. It offers 35 days return policy.